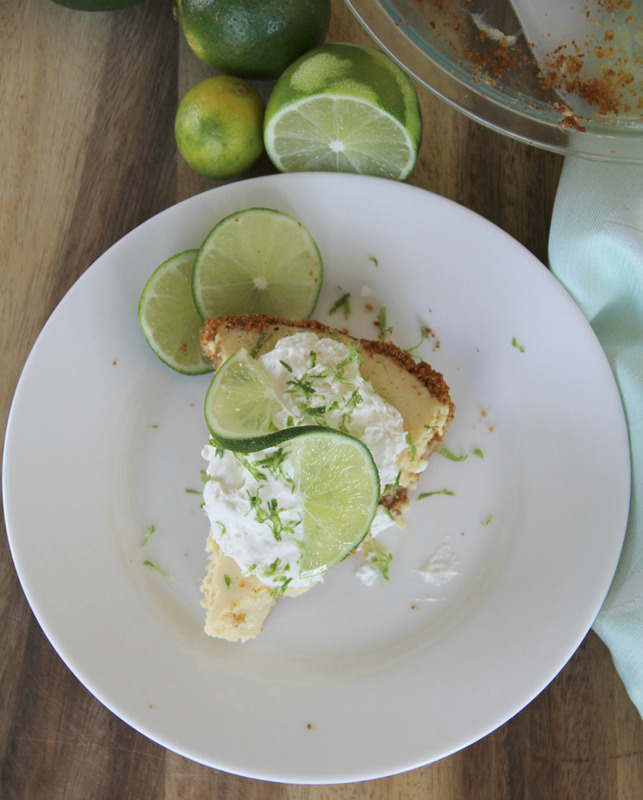 A classic key lime pie recipe with a little cream cheese added and fresh squeezed juice from key limes and regular limes. It’s easy and refreshing! Spring quietly slipped into summer yesterday but I’m not sure anyone noticed. Around here it feels as though we are deep in the sweltering dog days of August and has for the last couple of weeks. 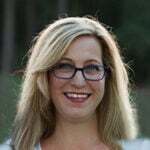 When it’s this hot outside, I long for refreshing treats like ice cream or popsicles, and salads, and fruit—anything that doesn’t require the oven or me standing over a hot stove. 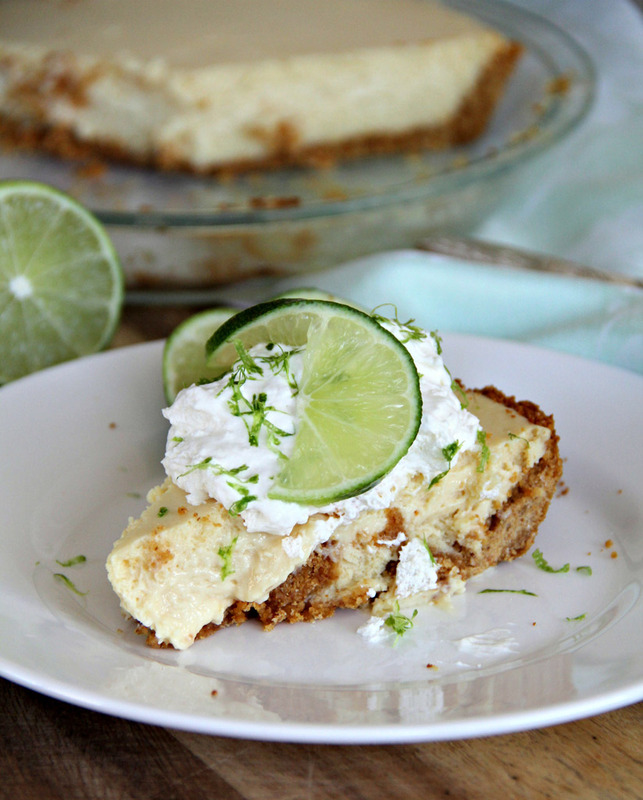 While I always love my Fudge Pie, sometimes it’s nice to have a creamy, fruit-flavored dessert, like a Classic Lemon Icebox Pie or this yummy easy Key Lime Pie. 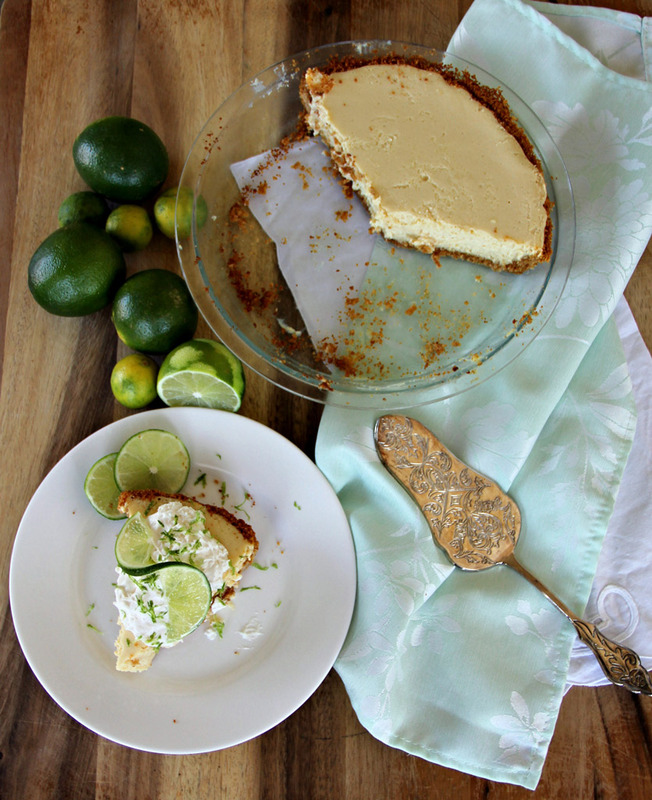 Key lime pie is a delicious, refreshing dessert anytime of year, but especially when you’re longing for a beach and cool ocean water to dip into. And this recipe is super easy, requires minimal baking time, and can be made a couple of days before you need it. I like to add a little cream cheese to the filling. You just mix it with a can of sweetened condensed milk, egg yolks, and lime juice. This makes a super creamy, delicious pie! I adore the flavor of lime and I like my citrus pies to have the full flavor of the fruit, so I typically add a little extra juice—and always use fresh squeezed juice! Here I used 1/4 cup of real Key lime juice, so yes, I had to squeeze those tiny limes, and then I finished with fresh squeezed juice from regular limes. The difference in flavor is barely discernible if at all, and the regular limes are so much easier. 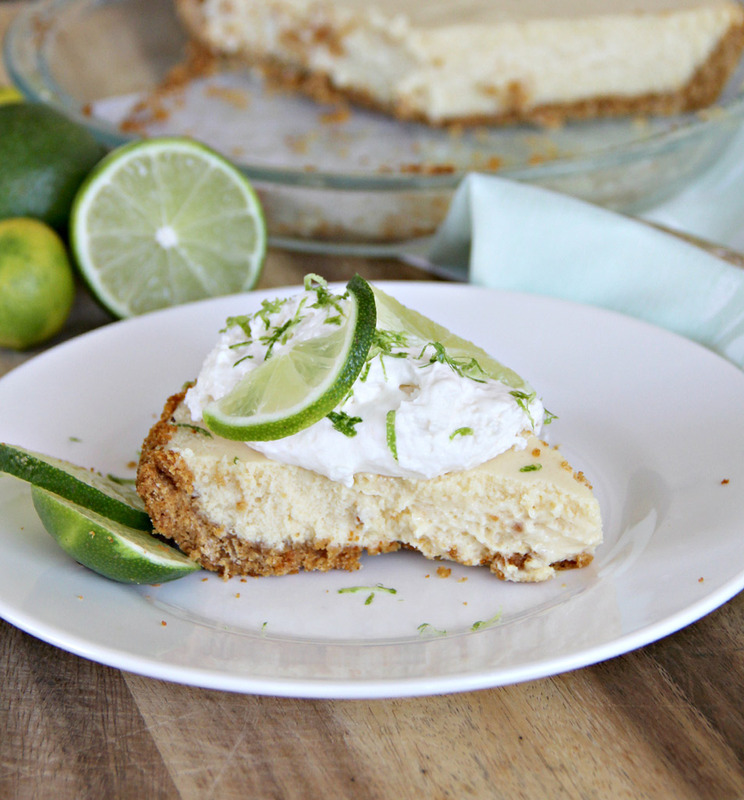 A classic key lime pie recipe with a little cream cheese added and fresh squeezed juice from key limes and regular limes. It's easy and refreshing! Preheat oven to 375. Stir together graham cracker crumbs and sugar until well mixed. Stir in melted butter with a fork and mix well. Press evenly into 9-inch pie plate, covering bottom and sides. Bake crust for 10 minutes, then remove and cool in pie plate on a rack. Turn oven down to 350. Place cream cheese in stand mixer or large bowl if using hand mixer, and mix for 2-3 minutes. Add condensed milk to cream cheese and turn mixer on medium-high to high for several minutes until cream cheese is completely mixed into the condensed milk. The mixture should be silky smooth with no visible chunks of cream cheese. Chill pie, lightly covered, at least 8 hours or overnight. Place heavy cream in bowl of cold stand mixer (you can put the bowl in the freezer for 10 minutes) and add sugar and vanilla. Beat on medium for about 2 minutes then turn mixer to high. Whip until soft peaks form, watching carefully not to over-mix. Pie can be made 2 days ahead.